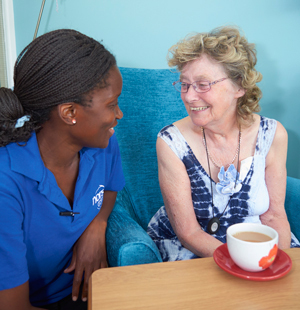 Working in care is a fantastic job for caring, compassionate people who thrive on making someone’s day better. Whether you’re leaving education, returning to work or looking for career change – we’re happy to help you find your path into working in care. NorseCare recruit staff with the right values and provide them with the skills they need to build a successful career in care. Have you thought about how your hobbies and interests could make a difference to someone else’s day? Do you enjoy gardening, knitting, reading perhaps? So do the residents and tenants of our care homes! Undertaking activities that our residents and tenants can enjoy is key to their wellbeing, we work together to find a suitable range which meets their personal, social and emotional needs – your hobbies could be turned into a valuable skill to share. Not sure if care is right for you? Why not take a short survey? – you can hear from people working in care and will receive a personal profile that tells you if this is the right job for you. 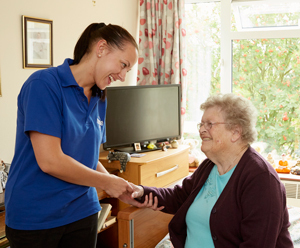 NorseCare delivers all of our training in-house – from the Care Certificate to formal qualifications, we can support you to build a valuable career in care, which meets your own goals and aspirations. Visit our Learning & Development page for more information.